The history of Tina Turner involves stardom, abuse and the decline and subsequent redemption of a career. Turner's abuse at the hands of her former husband and performing partner is well documented, but despite the hard times, Turner has sold more concert tickets than any solo performing artist in history. Turner was born Anna Mae Bullock in Nutbush, Tennessee, on November 26, 1939. Her parents divorced when she was ten, and although her sister and mother relocated to St. Louis after the divorce, Turner stayed in Nutbush with her grandmother until she was 16. After moving to St. Louis, Turner began to frequent nightclubs with her sister. After convincing local blues musician Ike Turner to let her sing for her, she became part of his stage show. After she finished high school, she joined his band full time, performing as Little Ann. Ike Turner had a recording session set up to record the song A Fool In Love. When the singer didn't show, he enlisted Turner to lay down the vocals. The song peaked at number two on the R&B charts. Around this time, Ike convinced Turner, who was still performing under the name Little Ann, to adopt the stage name Tina Turner. Ike and Tina were married in Mexico shortly after that single was released in 1962 - although there is some dispute over whether the couple had actually secretly married in the late 1950s. The Ike and Tina Turner Revue, the new stage act started by the married couple, enjoyed much success throughout the 1960s, but theirs was a different sort of music career. They released a number of original recordings that tended to receive lukewarm receptions, at best. However, the cover songs they released became huge hits. Ike and Tina's version of Creedence Clearwater Revival's Proud Mary remains one of Turner's best known songs. Some the biggest fans of The Ike and Tina Turner Revue were their fellow musicians. They were much sought after as touring partners for the likes of The Rolling Stones, David Bowie and Elvis. They played to huge audiences when they were opening for these acts, and Turner gained a reputation for her stage presence. When they toured as headliners, however, the Revue was only able to book small venues. By the 1970s, the success the Revue did have was waning. Turner enjoyed success with a starring role in The Who's rock opera Tommy, but Ike's attempts to launch Turner as a solo artist failed. Things were even worse behind the scenes. Although the story didn't emerge until years later when Turner penned an autobiography, Ike Turner was abusing cocaine heavily during the 1970s. As his cocaine abuse spiked, so did his physical abuse of Turner. In 1976, Turner ran away from Ike with only 36 cents in her pocket. She spent the next few years bouncing around from friend's house to friend's house as she tried to hide from him. Eventually, she filed for and was granted a divorce in 1978. She gave up all her rights to the money they had made as a couple. She left the marriage with ownership of her stage name and an agreement to pay Ike's debts. Turner's first two post marriage solo releases failed. 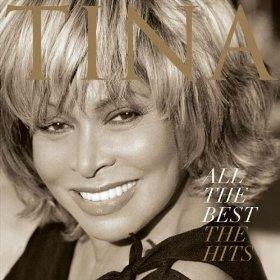 The history of Tina Turner took another turn in 1983 when she released a cover of Al Green's Let's Stay Together. The song was first released in the UK, where it was a chart hit. It was released the following year in the U.S., where it also climbed the charts. Also in 1984, Turner released What's Love Got To Do With It. This single became the best selling song of her career. The track reached number one on the Billboard charts, making her the oldest female performer to ever have a number one. To date, it is her only U.S. number one single, but the follow-up album, Private Dancer, reached number one on the album charts. By the end of the 1980s, Turner's recording career had peaked, though she continued to sell a solid amount of albums. Her real career was in her concerts. She toured almost constantly until the early 2000s, when she retired. She returned to the stage in 2008 and 2009 and became the best selling live artist of those years. In 2005, Turner was named as a Kennedy Center honoree.